Sorry it has been a while since I have last posted, I have been so busy since I came back from holiday catching up on everything!! 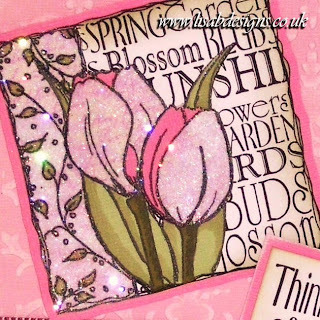 As a lot of you know I love Hobby Art Stamps and think that Jenny Mayes is a lovely lady and Jenny has asked me to be a part of her design team so I am really pleased that she loves what I do with her stamps. This first card is one of Jenny's new stamps called 'Bird House' and is available on my website here. 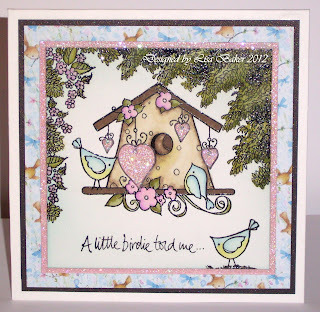 I have used some elements from 'Woodland Scene' set which is one of my ultimate favourite sets of Jenny's as you can mix and match this set with loads of other stamps. I have coloured with 'Spectrum Noirs' and added a little glamour dust. For this next card I used another new stamp called 'Floral Bird House' and again I have used elements from 'Woodland Scene' set and also 'Poppies Scene- it' set. Again I coloured it with 'Spectrum Noirs' and paper pieced the roof and then added a little glossy accents. The message is from my favourite Hobby Art wording set which is 'Sentiments'. 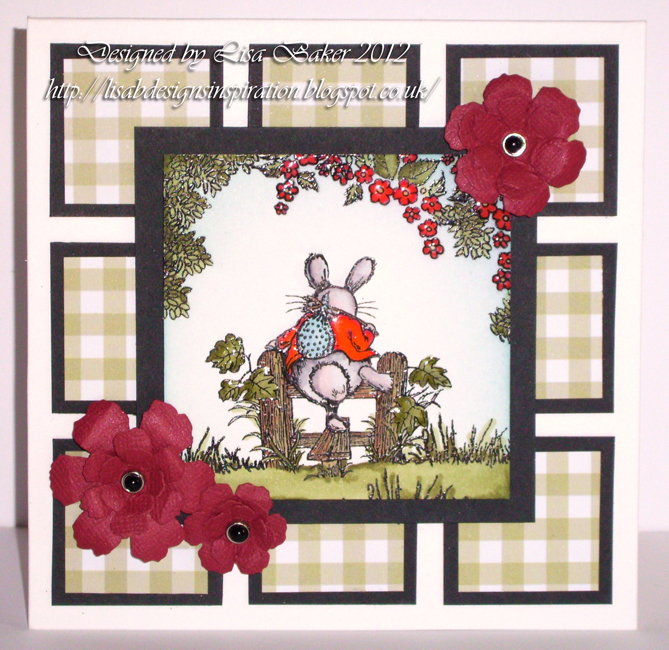 This next one is from my favourite set which is 'Woodland Scene' although this is a cute set if you take away the mice it is a brilliant set of lots of additions which can be used with many other stamps. I coloured this one with 'Spectrum Noirs' and paper piced his red jacket with red core'dination cardstock and then added a little gloss on the mushroom. Here's a little closer look at that lovely little mouse and mushroom! The last one that I am going to post today is also from the 'Woodland Scene-it' set. 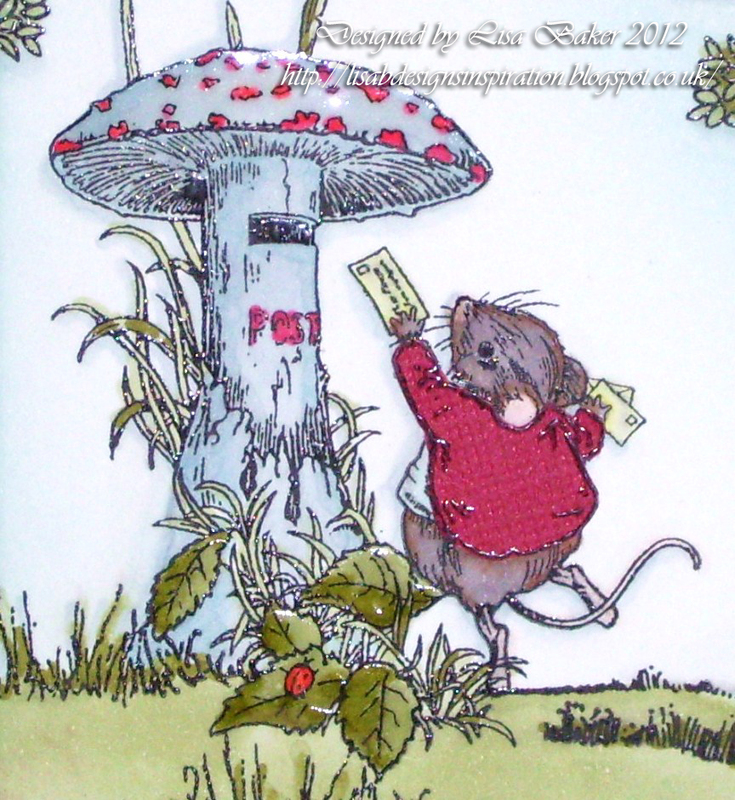 I have again coloured with 'Spectrum Noirs' and de-coupaged the little mouse and added a little gloss, here and there. Another closer look at the little mouse on this one! 28th August , Fant Hall, Barming, ME16 8NN along with Helen Meighan from Helidot and I will also be demonstrating on the day too along with Kirsten. It will be a great day out full of inspiration and great bargains and offers and some great refreshments and cakes mmnnn!! Well that's all for now, take care and keep crafting! Hello blog visitors, thanks for stopping by. It's been a beautiful day here in Kent, we've had high temperatures & lots of gorgeous sunshine. 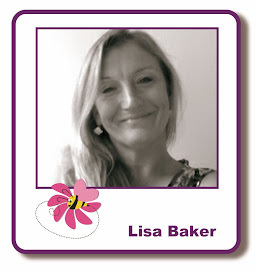 Today is indeed Lisa's birthday & I hope she is having a lovely day. Unfortunately, she is not feeling very well. Those of you who attended her class at the beginning of the month will remember she had a virus & was losing her voice rapidly. She is still under the weather, so I am sure you will join me in sending her get well soon wishes. Despite being unwell, she has been adding new items to the website & working on a newsletter, so keep an eye on your inboxes. Among the new items are sets of six SPECTRUM NOIR pens. These are acid-free, alcohol ink pens. They are double-ended & come in an assortment of colours & shades. Each pen in a set of six coordinates perfectly with each other & there is also a set of neutrals, perfect for skintones. If you like to colour with pens, but don't like the lines & streaks you get with 'ordinary' markers, then try Spectrum Noirs. They blend extremely well & at only £6.99 a pack, they're a very affordable way of taking your colouring skills to the next level. If you are a complete beginner to using SNs, then Lisa also has Leann Chivers DVD tutorial. It's packed full of hints & tips, step by step colouring projects, in fact EVERYTHING you need to achieve perfect colouring. 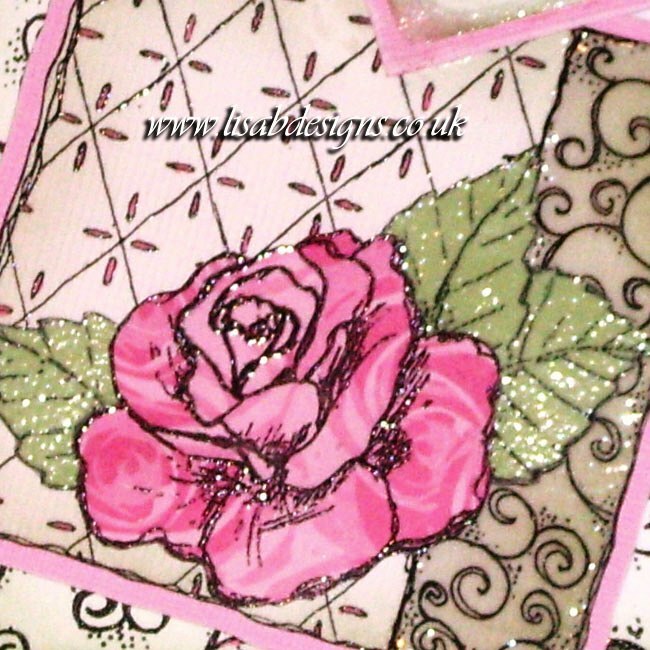 The images on the cards I'm showcasing today are Imaginations Decoupage Stamp Sets & Lisa has used various techniques, including colouring with Spectrum Noirs & paper piecing. Before I go, I'm happy to say that the winner of the blog candy, has received her goodies & hopefully, she is having fun playing with them. Brenda, if you would like to show us what you created, email me some pics & I will post them here. 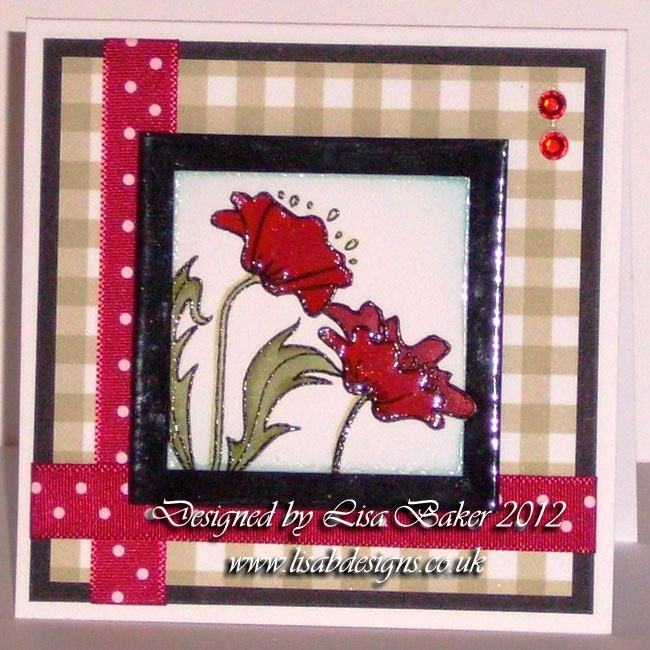 Lisa's next classes will be June 1st in Maidstone, which will be a nice start to the Jubilee weekend. I shall find out if there are any spaces available & let you know. Congratulations Brenda, please contact me with your details at isishestia@yahoo.com as soon as possible & I will mail out your prize. So, on to today's cards. You may remember yesterday's post was about the brayering segment of last Friday's class. To ease us in gently :) Lisa started us off with monochromatic stamping on the beautiful scenescapes, also from Lavinia Stamps. These are pre-printed designs on slightly glossy paper - basically, the background has been created for you & all you need to do is add the main images. 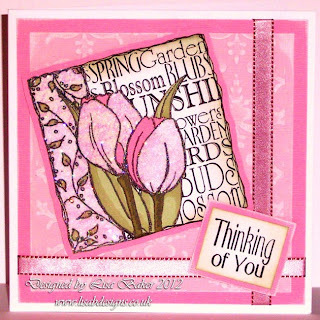 We began by stamping in corresponding colours of Distress inks, ie, Stormy Sky on a blue scene, Dusty Concord on a purple scene, as on the two cards above. I was slightly worried initially as the DI was very wet on the glossy paper & looked very dark, but as it dried - there was no need for a heat tool btw - there was quite a transformation; the images became faded & merged into the scene. We then stamped the same images with black Archival in places before stamping the focal image. 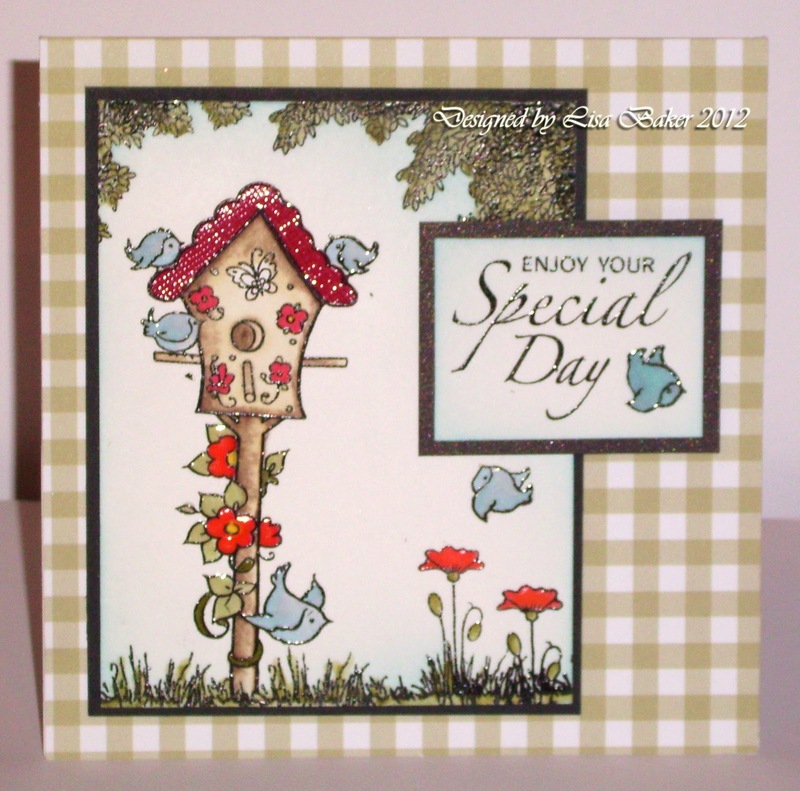 The result is an excellent background effect, where your stamping blends beautifully with the printed scenescape. 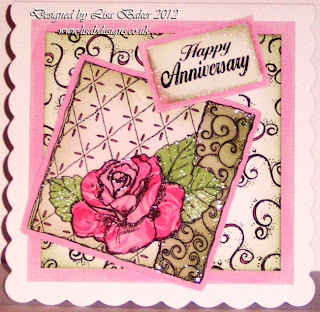 Lisa has added Distress Stickles & Glossy Accents to highlight certain areas & really, that's all you need to create a very effective card. On the card below, she has made a beautiful reflection of the unicorn & the castle. I love the leaf fronds in the 'water'. The scenescapes come in assorted sizes & designs & I know Lisa is working very hard, trying to get them onto the website as soon as possible, but if you can't wait, email her via the Contact Us page. 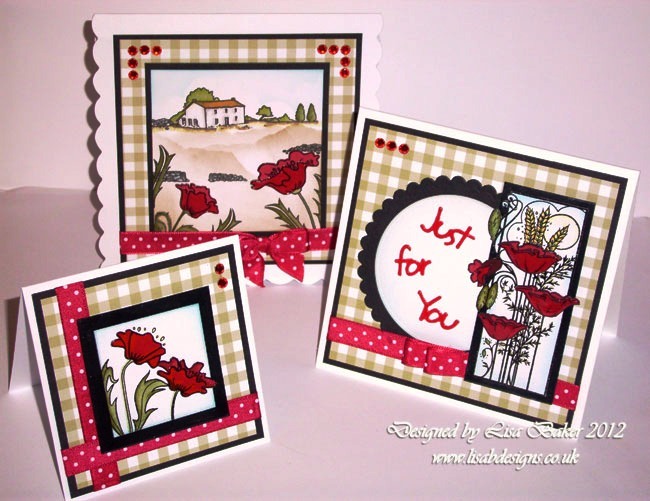 If you are going to the ICHF show in Brighton later this week, Lisa will be demonstrating on the J and C Creations stand, so stop by & say hello. Thank you again for visiting & for taking the time to comment, we are grateful. I'll be back in the next few days with more cards to show you. If I get any news from Lisa regarding new stock on the website, I shall post both here & on FaceBook immediately, so if you are on FaceBook & you haven't 'liked' Lisa B Designs, you know what to do!! 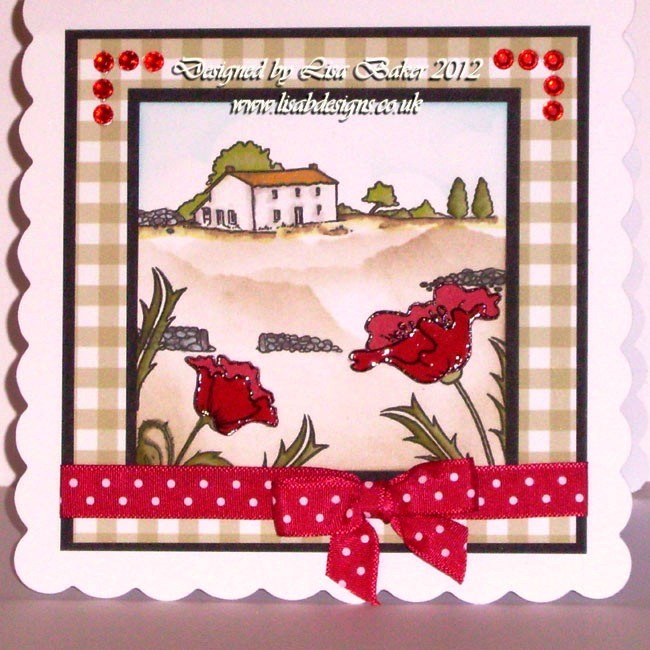 Last Friday was Lisa's class in Maidstone & it was all about creating backgrounds. 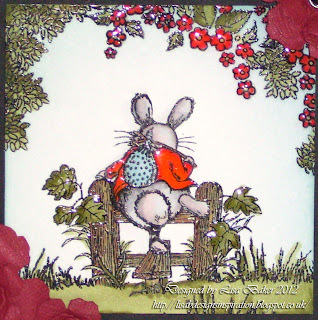 Today's cards were made by Lisa for the second part of the class, where she showed us how to create a background using a brayer. I've had a brayer for ages & occasionally had a play with it, without much success, so it was great to have Lisa explain & demonstrate a few techniques that we were able to use to make mountains, a sun - or moon - and a border. Speaking for myself, I need LOTS of practice & despite having one of those days, where nothing went right for me, I was quite pleased with my first attempts. 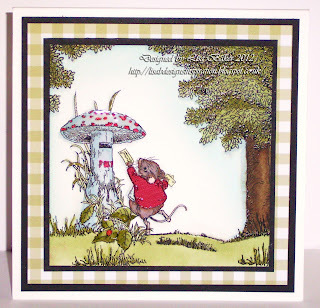 Many of you will recognise the lovely images on these cards as being from Lavinia Stamps. 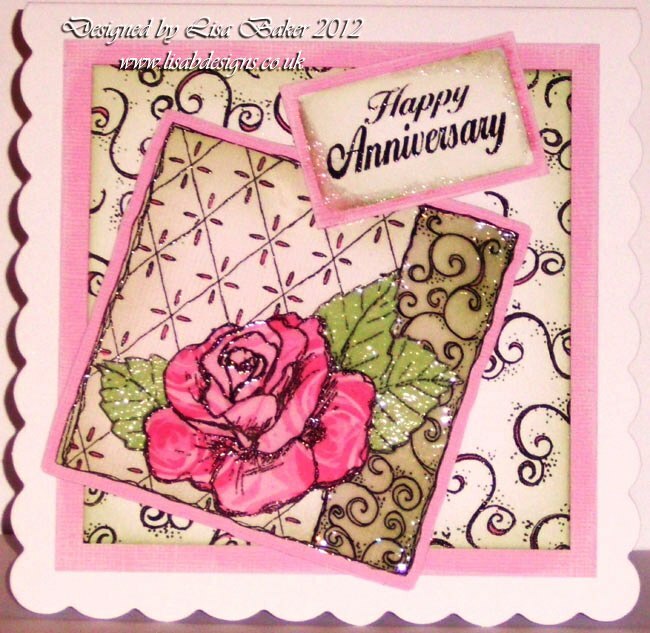 She used Distress inks & Adirondack inks to create these backgrounds & then overstamped the images with black Archival ink. She added detail with Glossy Accents & Distress Stickles. Just to let you know that my brayering Craft Workshop 'Lavinia Style Stamping' is on this Friday 4th May at Fant Hall, Fant Lane, Barming. ME16 8NN and anyone is welcome to visit the full onsite mobile craft shop that I have set up in the hall between 2.30pm - 9.30pm, even if you are not booked in to the workshop. 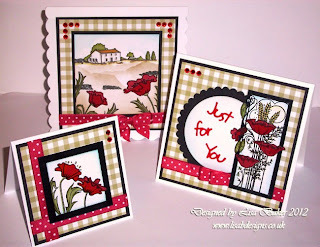 I have some absolutely fabulous NEW craft goodies on sale on Friday as usual. This is in addition to the masses of craft goods that I usually bring along of course. Why not pop along to say hi and have a browse around. I've chosen to show you Lisa's beautiful samples using a new set of create-a-scene stamps from HobbyArt. This set is called POPPY SCENE and it's one of several new sets, all of which you can see HERE. These images look like watercolour paintings to me & the adding Glossy Accents to the poppies gives them a real vibrancy. Many of us will immediately associate red poppies with Remembrance Sunday, but the gardeners amongst us will think of others, such as the blue Himalayan Poppy & the orange Californian Poppy. I have one in my garden that has pink petals fading to white tips, so the colour possibilities are endless with these stamps.